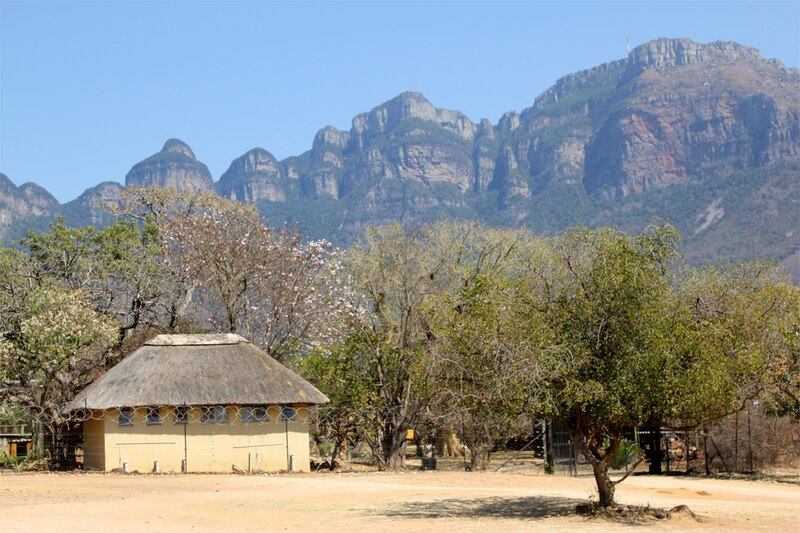 Moholoholo Rehabilitation Centre nestles beneath the towering crags of the Drakensberg, in the dry bushland of Mpumalanga Province, South Africa. 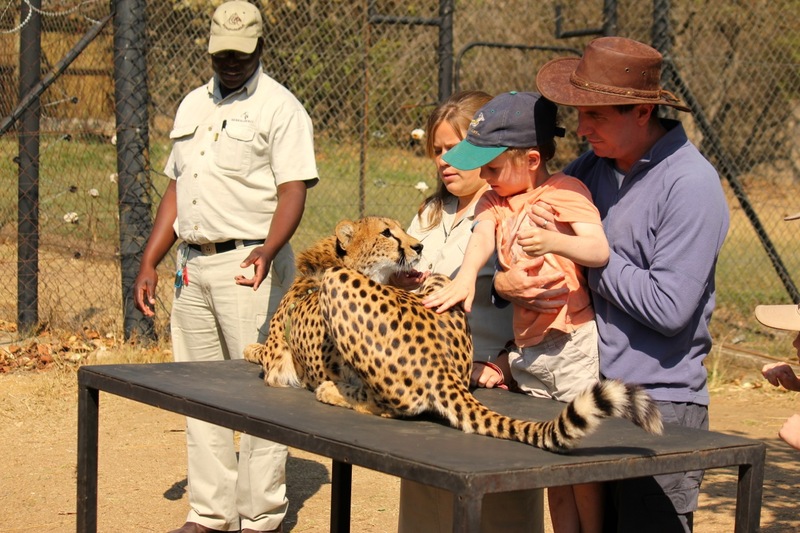 It is a place where passion for the welfare of Africa’s incredible wildlife is palpable. You get the strong sense of a small team of committed individuals striving to make a difference in the face of both poaching and the threat of human progress (land clearing, power lines, mining, farming etc). When we arrive, they are overwhelmed by visitors. While waiting for our guide, Oscar, to finish seeing to busloads of tourists, founder Bryan Jones gave us an impassioned speech about the importance of efforts like Moholoholo and the fierce battle they face to protect the animals of Africa. He is spitting mad, having just returned from Namibia, where “they” have killed hundreds of vultures, by virtue of poisoning the carcass of a poached elephant. Clever birds that they are, vultures have learned to follow poachers, knowing there will be a kill at the end of the line. Hoards of circling vultures alert the scouts, who are then able, with a bit of luck to capture these cowardly criminals red handed. It seems an edict has gone out from the criminal enterprises that make money off the wanton death and desecration of Africa’s animals, “Kill them all, kill everyone of those vultures.” And so, in act of moral depravity so starkly vicious, these bastards poison the carcasses of the animals they slay, leading to an onward spiral of death to all the scavengers that serve to keep the bush clear of disease. The poor vulture also faces a more local threat, where witch doctors steeped in out-dated tradition peddle vulture heads as a way to see the future. After all, an animal which can soar with the gods can surely see all that was, and all that is to come. You can see why education is such a passion for the Moholoholo team. 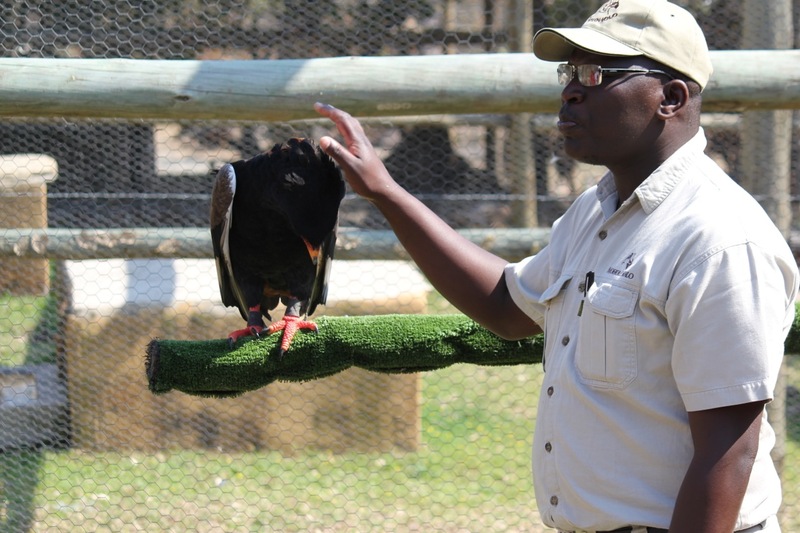 When it comes to helping animals, Moholoholo‘s main aim is rehabilitation, but animals who are unable to be re-released into the wild are housed at the centre, and used to educate the public. 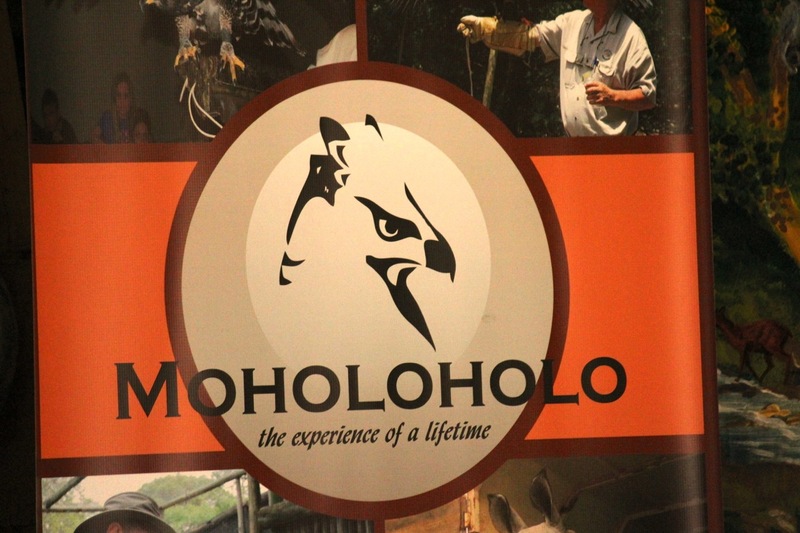 A visit to Moholoholo is a wonderful opportunity to get up close and personal with a range of wildlife. We got into cages with massive eagles who had lost a wing flying into power lines, vultures who could no longer fly, a lonely ground hornbill who thought it was a human being. A highlight was being able to stroke a cheetah. A breathtakingly wonderful experience, but when she turned and looked at my little boy like she was sizing him as a mid morning snack, the hairs on my arms lifted and I was reminded that, despite the collar, this was a wild animal and the instinct to hunt never goes away. Moholoholo is also home to a family of lions (rescued from a circus), who had grown too big and wild to handle. They could not be rehabilitated because they are no longer afraid of humans, making them deeply dangerous (as one volunteer recently discovered). 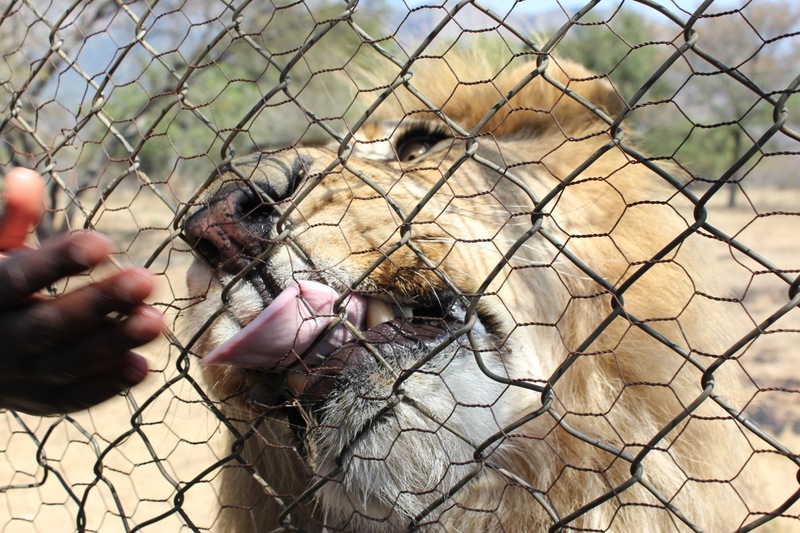 Oscar, overflowing with knowledge and highly entertaining anecdotes, hand fed the male of this pride through a wire fence, reinforced with chicken wire. It was quite something to see a lion devouring meat, its mouth with pointed teeth dripping with blood soaked saliva just centimetres away from our faces. There are very clear sign posted warnings not to stick your fingers through the wires. Oscar remarks, “We had to put the chicken wire up as well. Despite the signs, people still try and touch the lion. They’ll lose a hand.” I can well believe it. 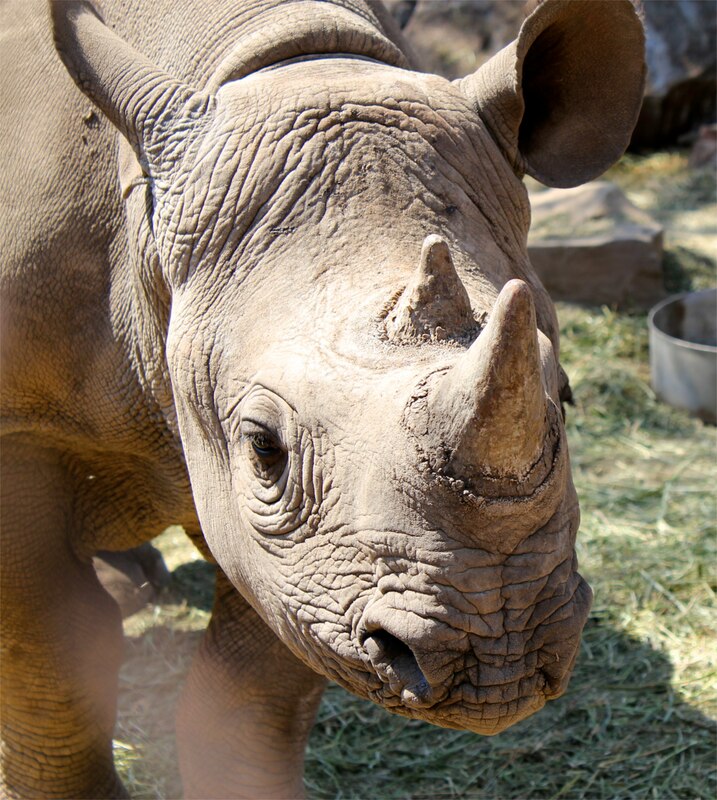 The tour ends with a visit to a baby rhino. They mewl, baby rhino, did you know that? This little fella had lost his mom (I think to natural causes) and one of the wildlife parks had asked Moholoholo to raise him. When he is old enough, he will be returned to the wild to experience the joy of Africa’s bush for himself, and face the dangers that come with that. Let’s hope that some progress has been made in the war against rhino poaching before then, otherwise he may well end up being one of the few surviving rhinos in the world.